Ultrasounds: too many, too much? I WAS ACCOMPANIED by my father for my first ultrasound scan. I remember little else because his head was glued to the monitor in an attempt to trace his unborn grandchild. For half a century now, ultrasounds have been the go-to scan for witnessing in utero antics. They have also helped doctors keep track of foetal growth and distress or disorders. Still, those expecting often question their effect on the foetus, their accuracy in identifying risks and congenital disorders, and the need for multiple scans. Even though called a scan, an ultrasound does not involve any rays or radiation. A hand-held transducer is pressed against a jelly-slathered belly to relay high-frequency sound waves (ultrasound waves) into the uterus. These waves bounce off big organs or tissues or other opaque objects and relay this data onto an image-mapping machine that gives us the sonogram (picture). Scans, combined with blood tests, performed during the first and second trimesters have a high chance of detecting genetic disorders or anomalies. Such information is crucial to continue or end a pregnancy; plan a medical intervention and genetic counselling; and prepare the family for practical, emotional and financial arrangements required once the baby is born. Nuchal translucency: Conducted between 11-14 weeks, this checks for the thickness of the foetus’s spinal fluid. Along with a blood test and the mother's age, it helps determine the risk of Down Syndrome. Anomaly scan: Done around the 20th week, this can help identify the gender and the number of babies. It checks if all is fine with foetal organs and activity, cord and amniotic fluid. It also helps detect anomalies, birth defects and placenta-related issues. More than one scan can be ordered during the final trimester if the doctor foresees complications. A sudden hike in sugar, thyroid and BP levels can cause a dip in foetal activity. A doppler ultrasound at this point will reveal blood flow (or lack of it) to the foetus. Such data helps doctors make lifesaving decisions. Scans are also ordered to determine amniotic fluid levels, cord distress and the final position adopted by the baby for labour phase. Though no harmful effects have been observed until now, long-term effects of repeated scans have not been studied. Some parents get anxious knowing about the many things that can go wrong. 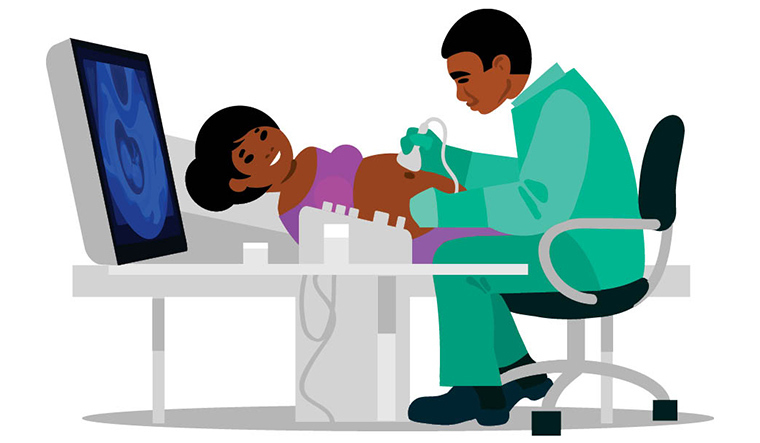 Talk to your doctor about the nature of your pregnancy and the level of monitoring it requires. This will help you decide the scans you have to undergo. * A vaginal transducer, as opposed to a hand-held one, is used during initial stages of pregnancy when the foetus is too small to be picked up or to diagnose a suspect complication like the egg attaching itself outside the uterus (ectopic pregnancy).